Google advanced search operators are unique characters and commands that we can give to Google in the search query. They are the shortcuts for getting the best-refined result. In short, when we say refined results it means commanding google to slender down your results so instead of obtaining unrelated results, your search query returns you the data that you’re actually looking for, only if used in the correct method. These google search operators are categorised into three categories mainly “Basic, Advanced, Unreliable”. How do I use Google advanced search operators? You can simply type the search operator that is the symbol/name in the Google search to get the results. 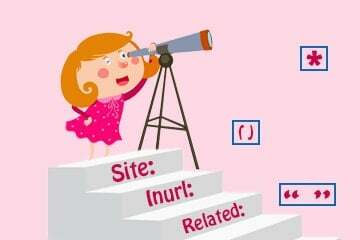 “Site:” operator limits your search results to only those from definite sites as well as number of the crawled pages. It refines your result query and gives you the accurate result. By adding “cache” before any URL you’ll be able to find out the exact cached or crawled time and date of your web page. By using this operator you’ll be able to know when did your website got crawled last time as well as also get to know whether Google was able to crawl your website and index it. The logic behind using “OR/|” is that Google will look for either the first word or the second word or both. It is important to write “OR” in capital letters. Example – SEO OR social media marketing, SEO | social media marketing. The logic of using “AND” operator is similar to using “OR” Operator. Google looks for all conditions to be met before giving results. Using minus symbol (-) before any term will eliminate that particular term from the result. This can be useful for words having multiple synonyms eg. Apple as a brand and apple as a fruit. An asterisk “*” can be used as a wildcard also it will match with any given term. You can use this symbol when you’re unsure about a certain part of the query. Example – * is a national fruit of India. When you add a word or phrase in “quotes”, the results will only contain pages which will match exactly to the ones inside the quotes. 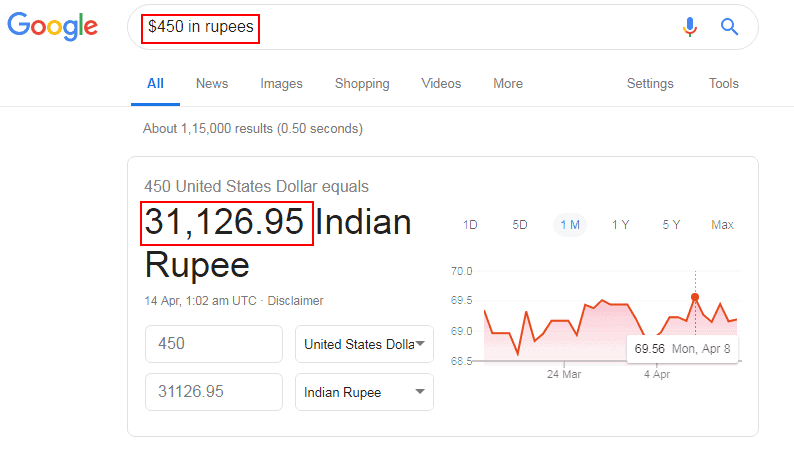 If you want to know the price of a certain product then you can use dollar symbol “$” before your product’s name. “in” operator works when you want to change one unit into another. Also, works while converting currencies, temperature, weight etc. This operator gives you the sites similar to your given domain. “Related:” operator is useful to find out your competitors. All the above operators (up to point number 7) will respond to your query using keyword but this one requires a domain URL. “intitle:” operator helps you search a certain word in the title. Google shows only results which contain the search term you use in the meta title. “inurl:” this operator helps you find a similar page to your search term in the URL, mainly used for finding exact websites. 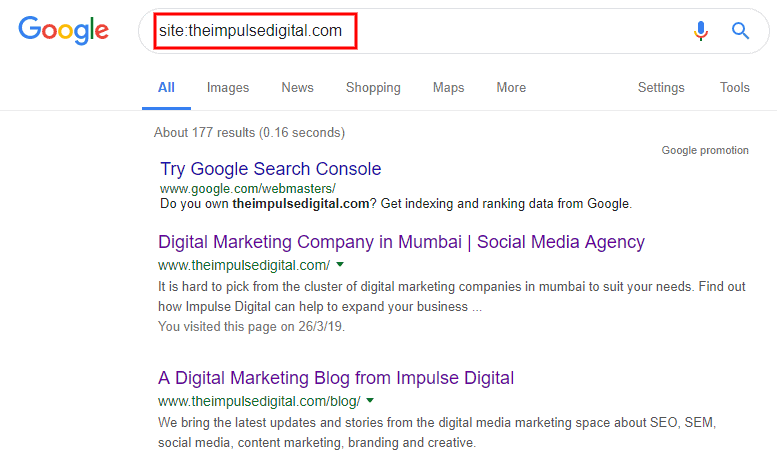 For instance, [ inurl:digital site:www.theimpulsedigital.com ] here Google advanced search operators search for pages on “theimpulsedigital” in which the URL contains word “digital”. Anchor text is the text on the web site which is linked with another web site. When you click on anchor text you’re directly directed to place or page which is linked with the text. If you use this operator then Google will curb the pages which contain your targeted term which you have specified in your anchor text. You can also use the postal code of the particular location to get the results. 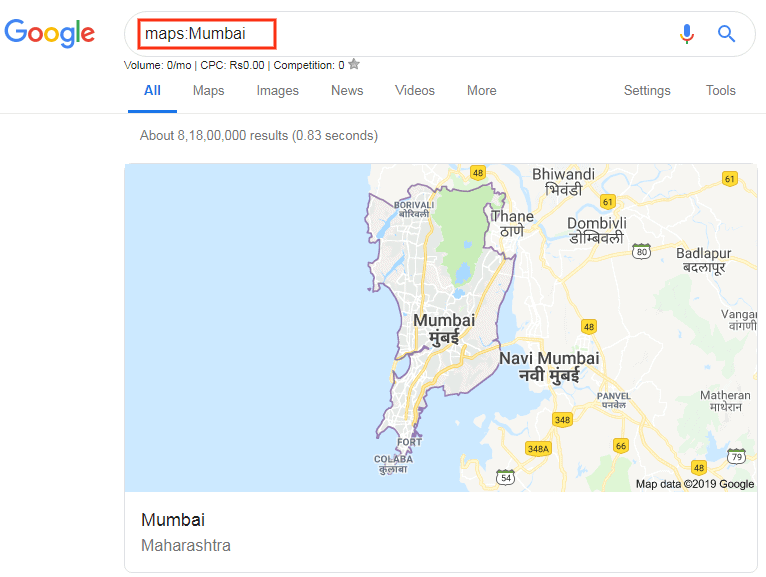 Add “map:” before your location and Google will show you the exact map results. This operator will give you the data about a specific film. It will also give you the information of its cast, realising date, show timings etc. Before/After commands help you find data before and after a specific date and also limits your searches while giving you more accurate data. This command can be temporary as Google is testing on it, whether to continue or not will depend on the liking and acceptance of the users.